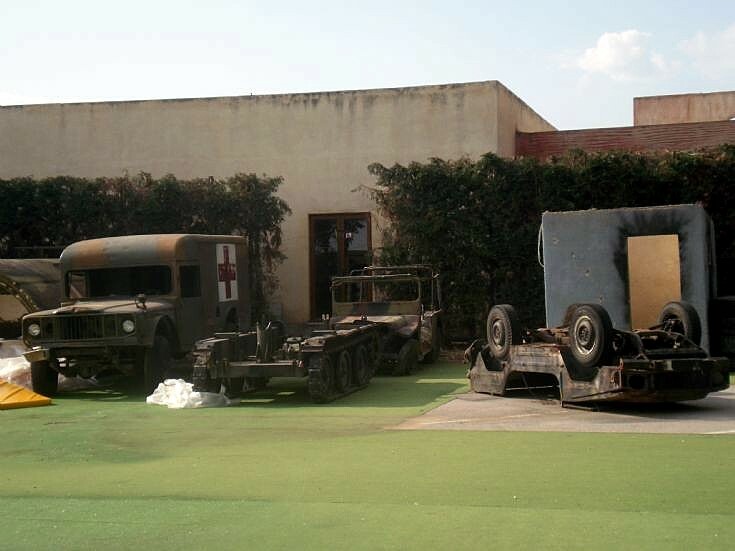 From the left to the right M-725 Kaiser Jeep Ambulance, Loader XM501, M-151A2 and unknown vehicle seen in Thessaloniki. The unknown vehicle looks like an Iltis. Added by Roger Greenaway on 12 December 2010. The unknown vehicle is a vw Lltis light truck with a wv polo engine.It was German military aid to Greece and served for a very short time from 1989 to 1994 if im right. Added by Yiannis Arampatzis on 23 April 2011. The unknown vehicle seen right in photo is a Iltis 4X4 jeep, transferred after beeing used by German army. Added by Manolis on 16 September 2015.